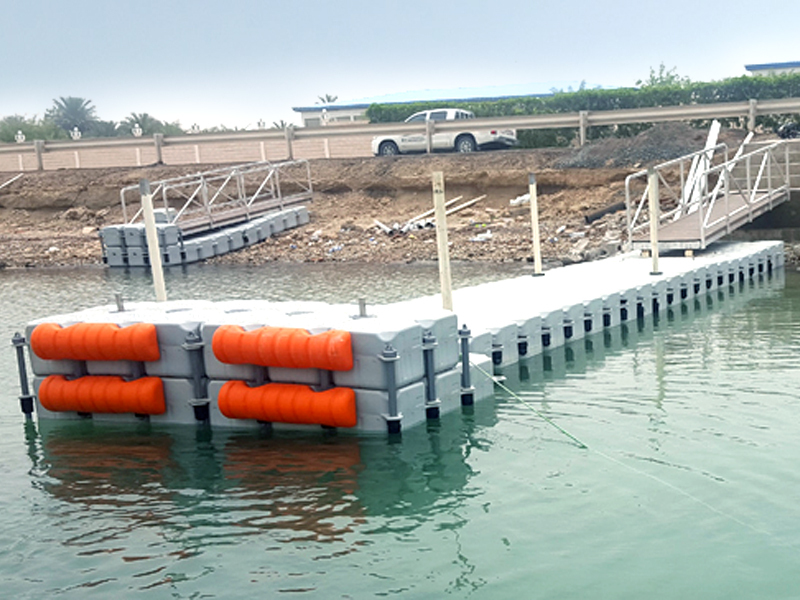 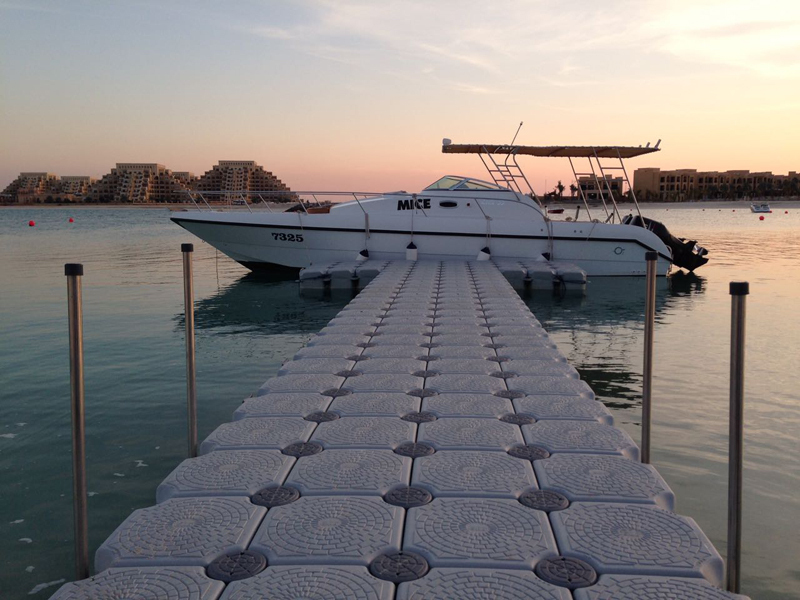 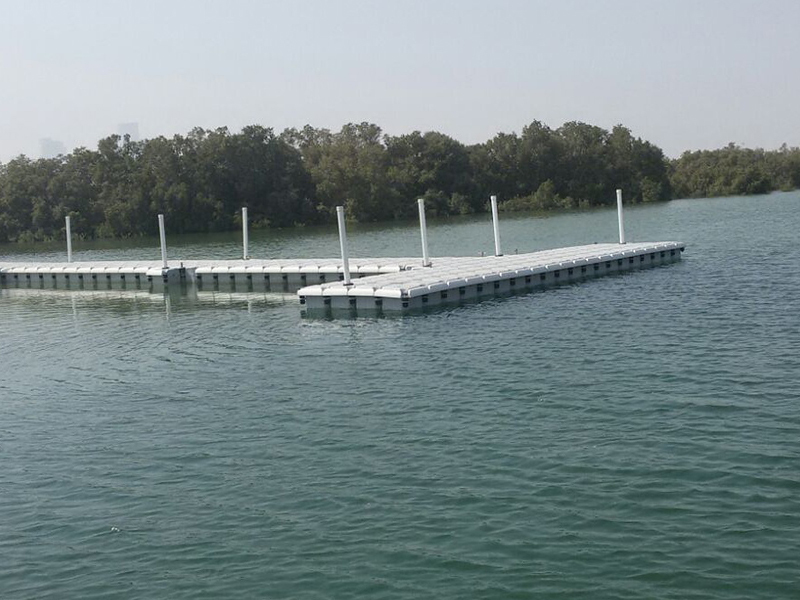 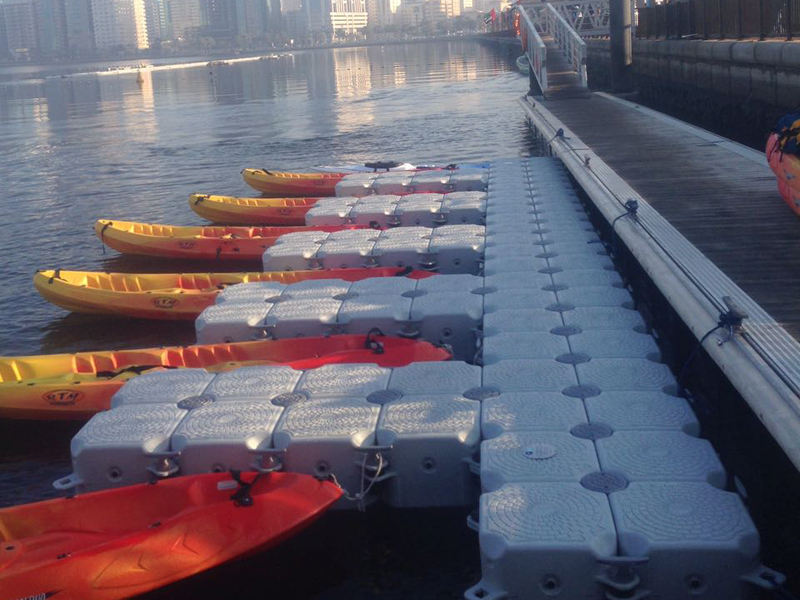 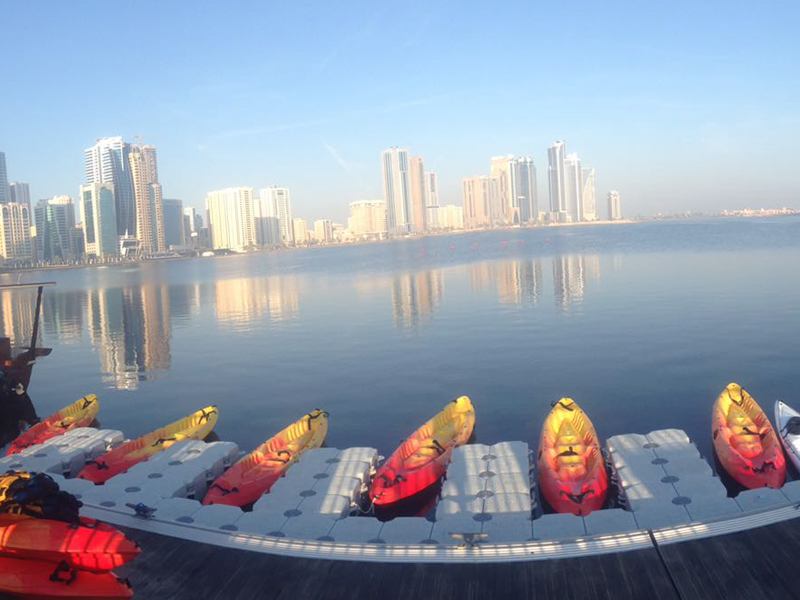 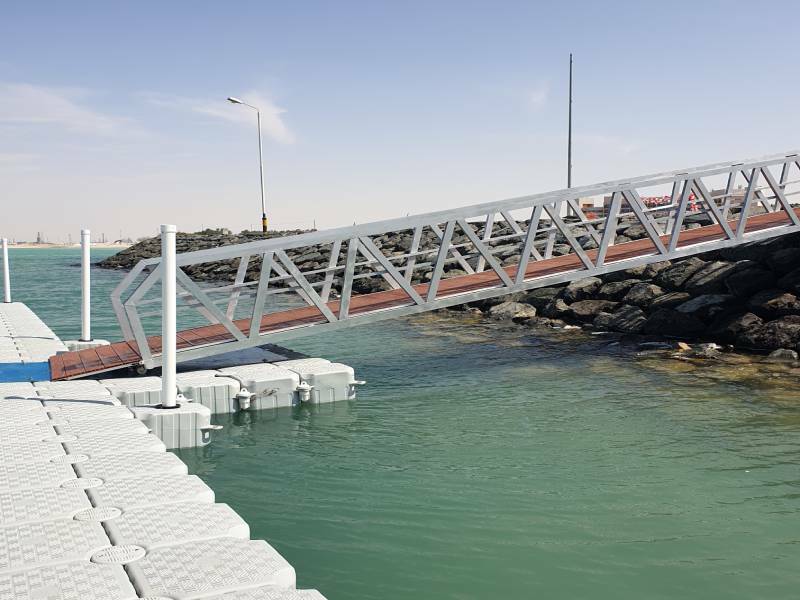 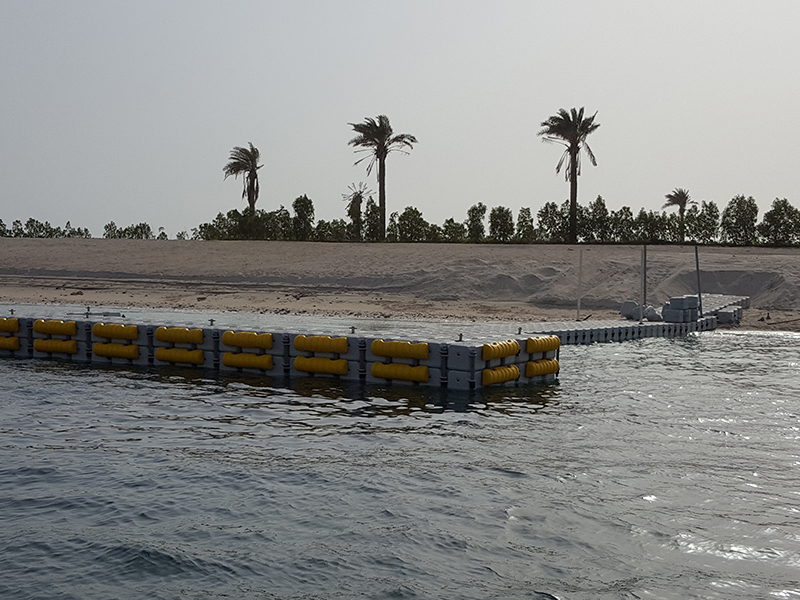 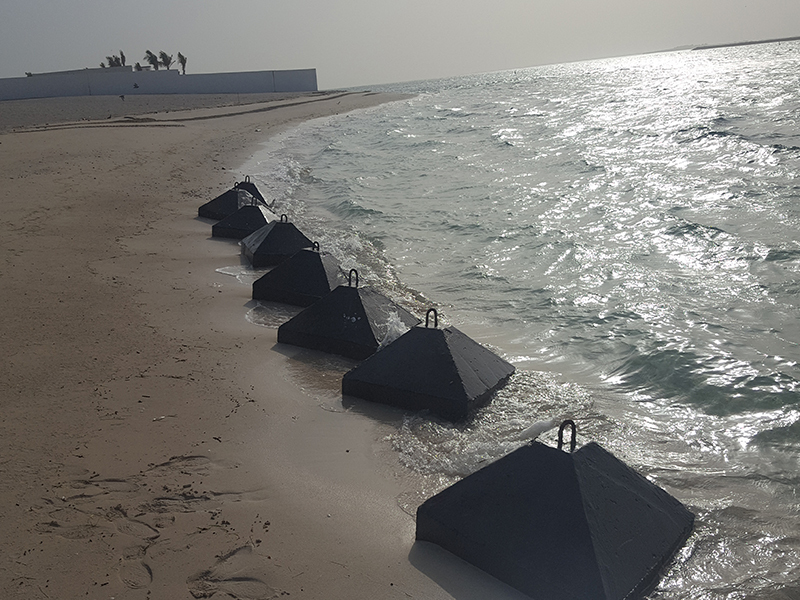 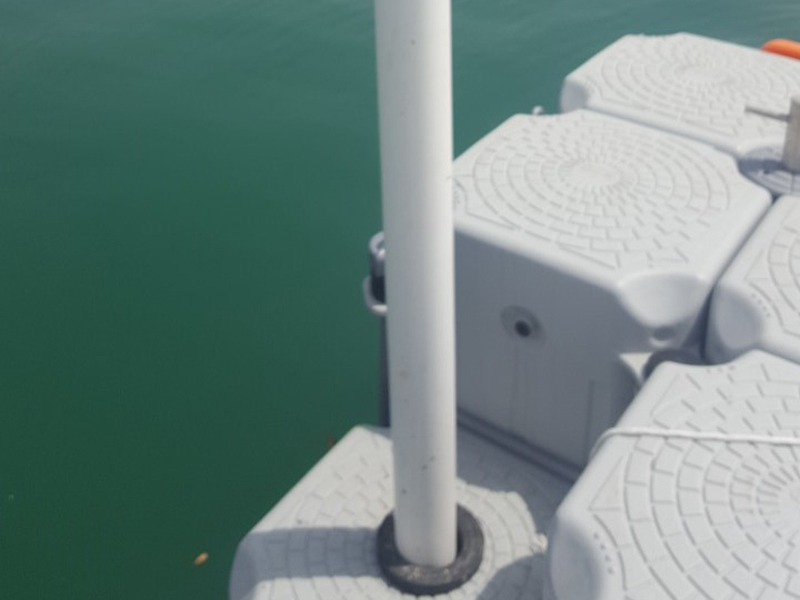 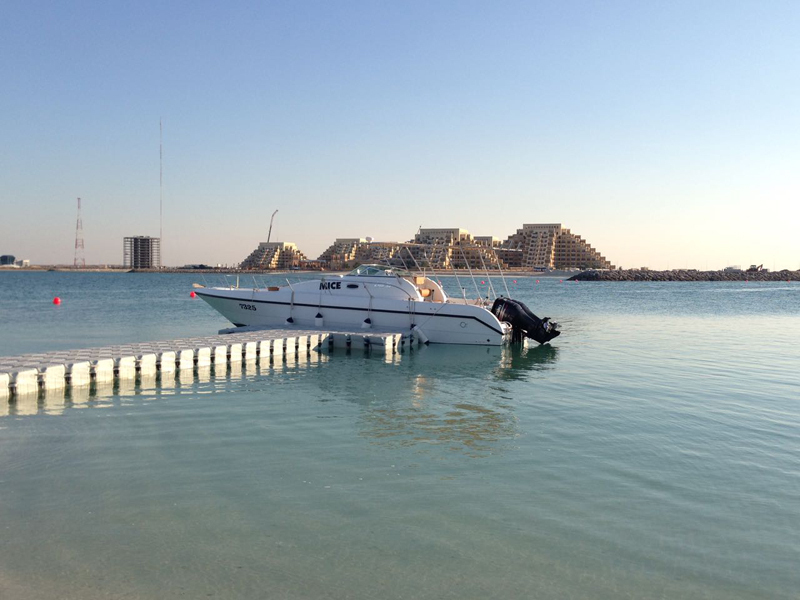 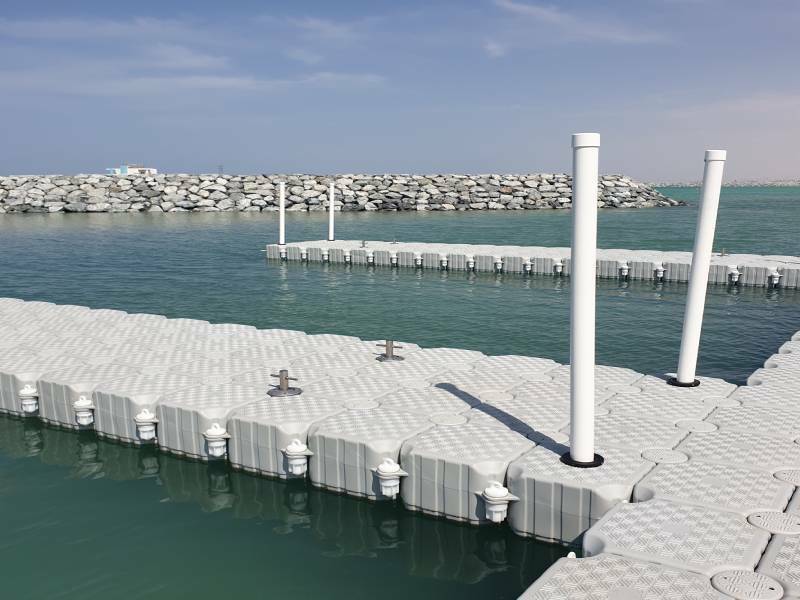 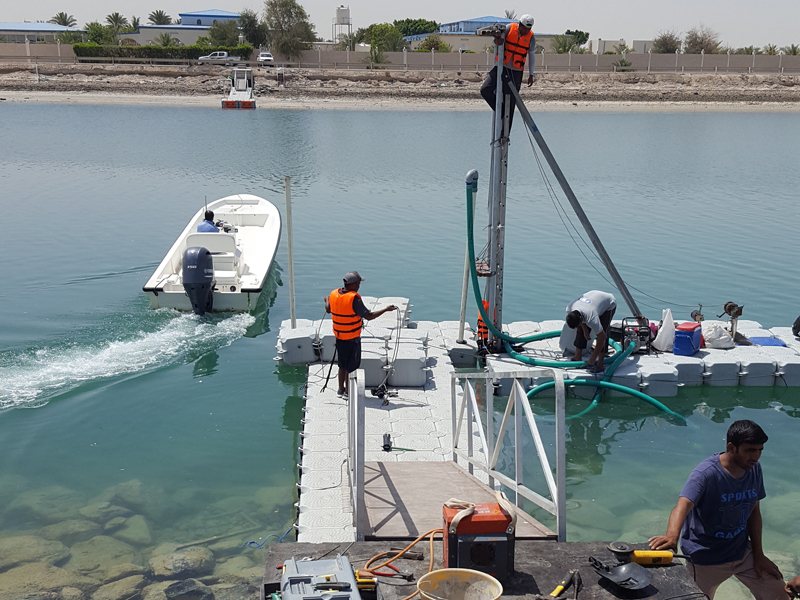 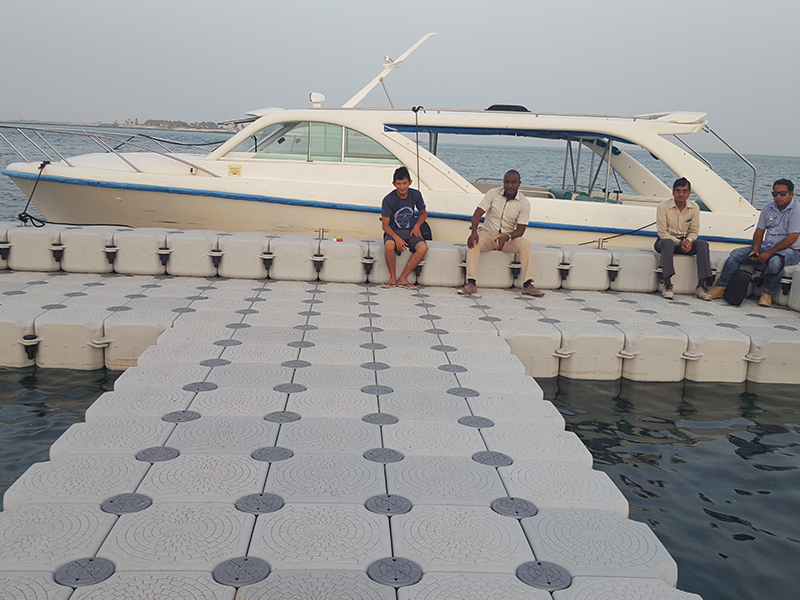 Our pontoon cubes can be assembled to create whatever shape and size you like. 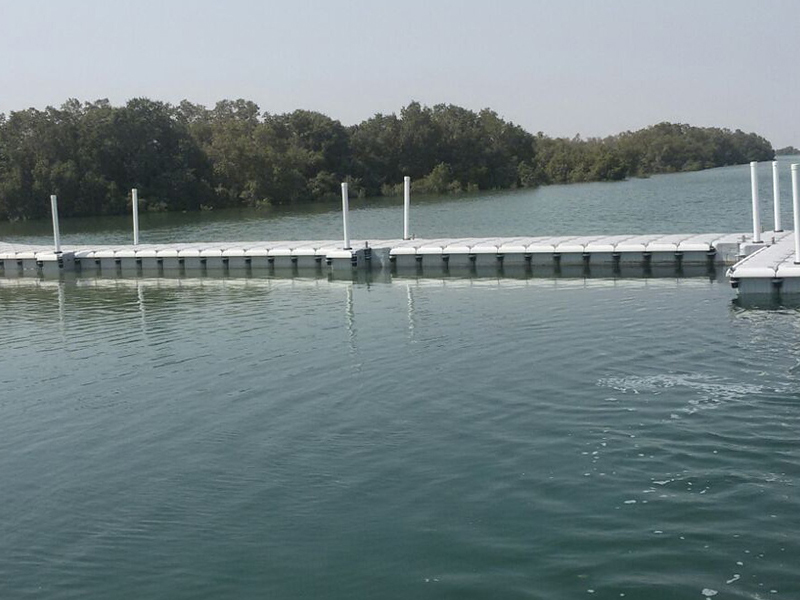 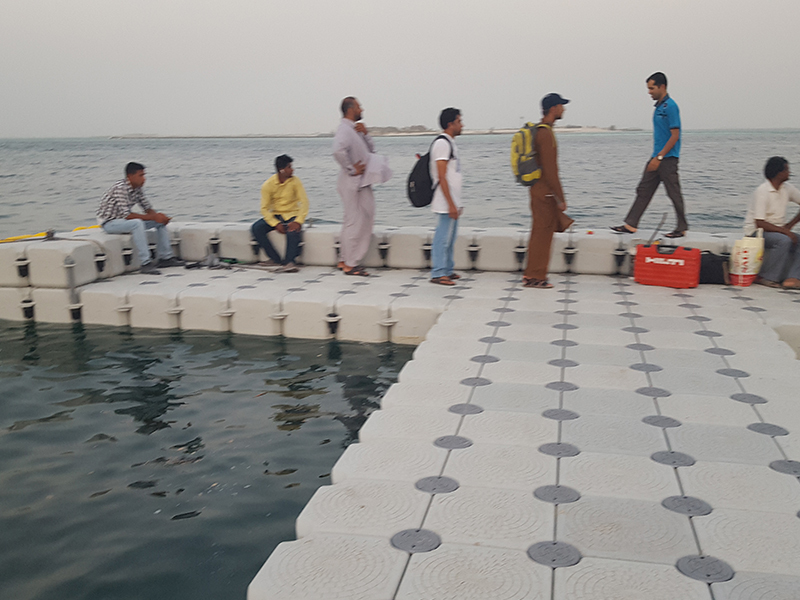 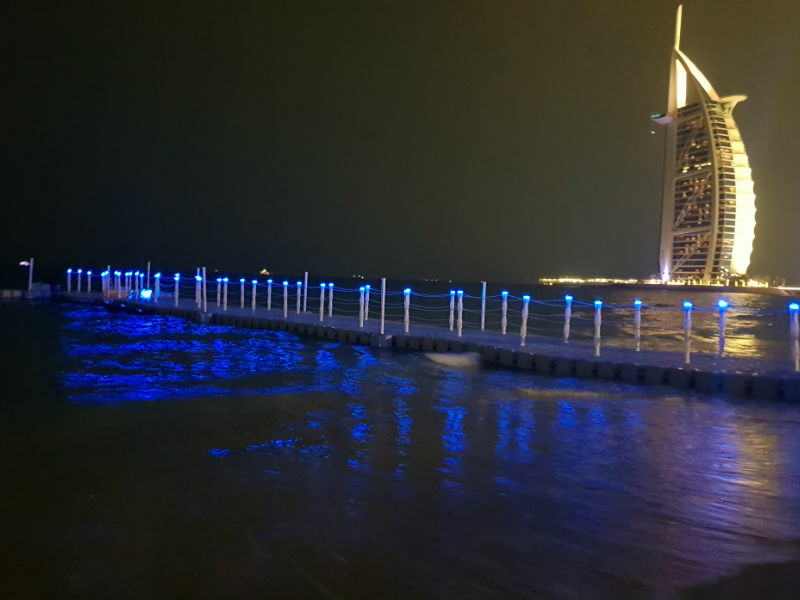 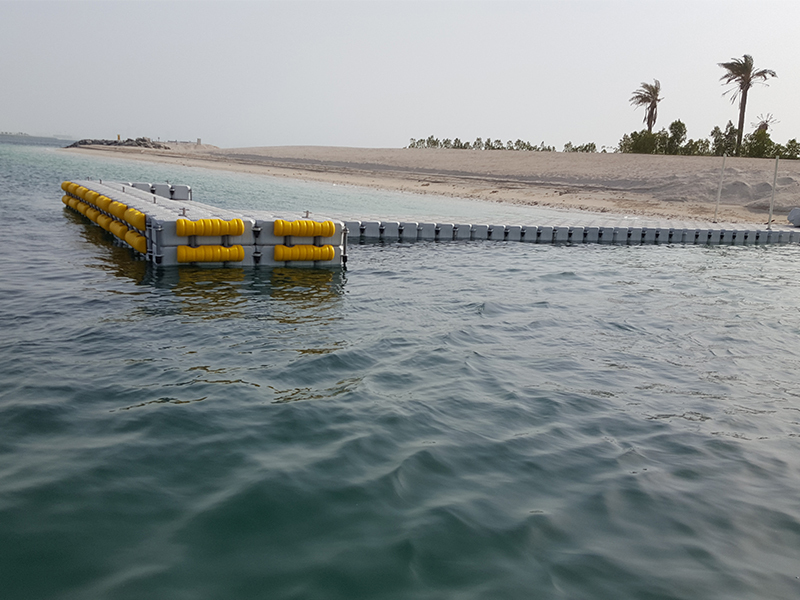 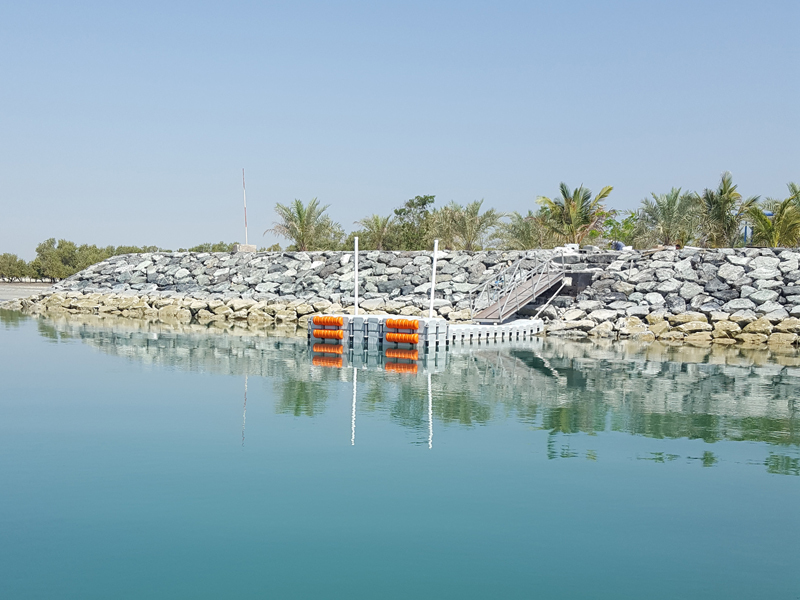 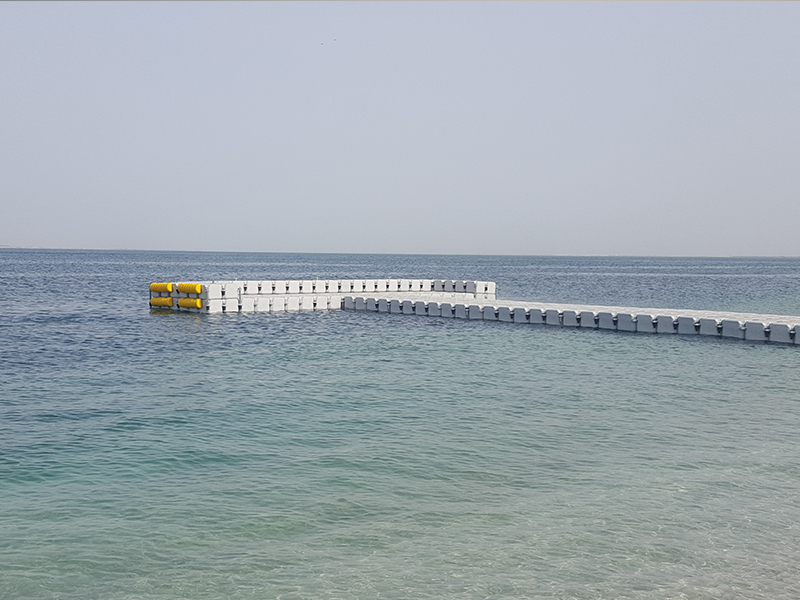 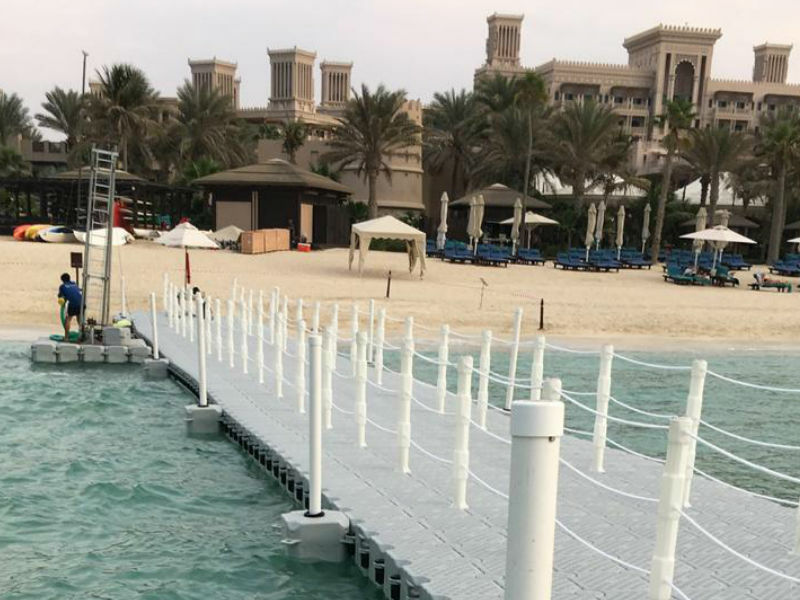 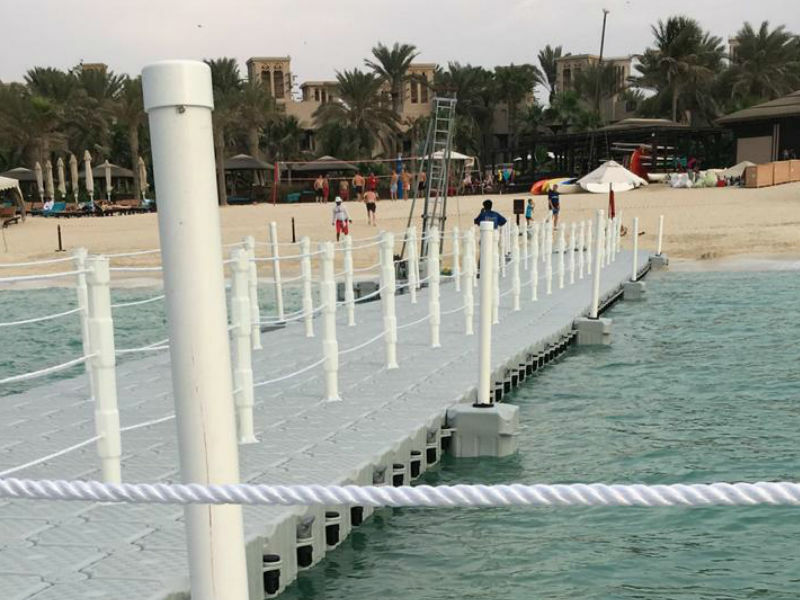 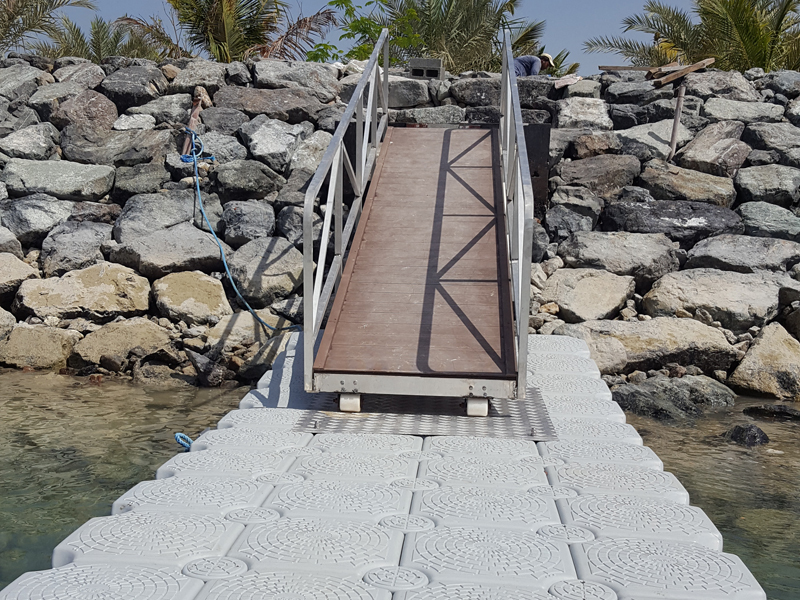 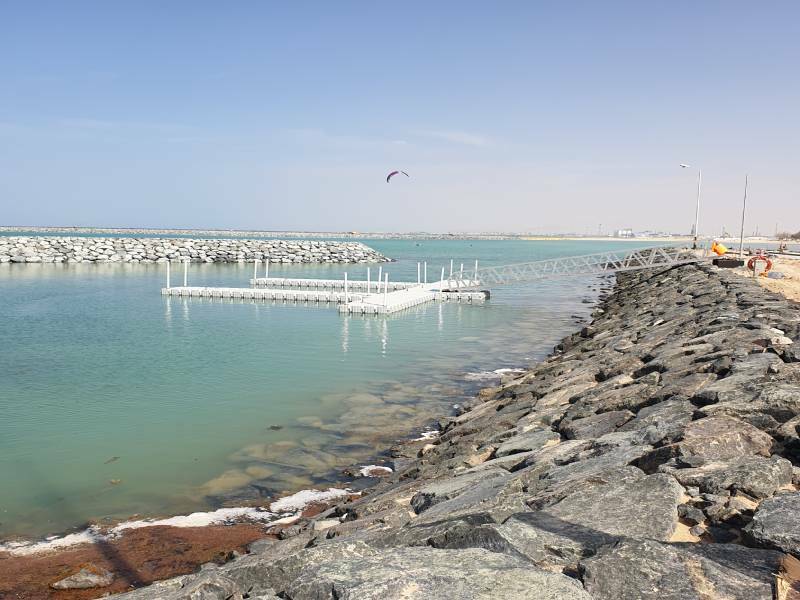 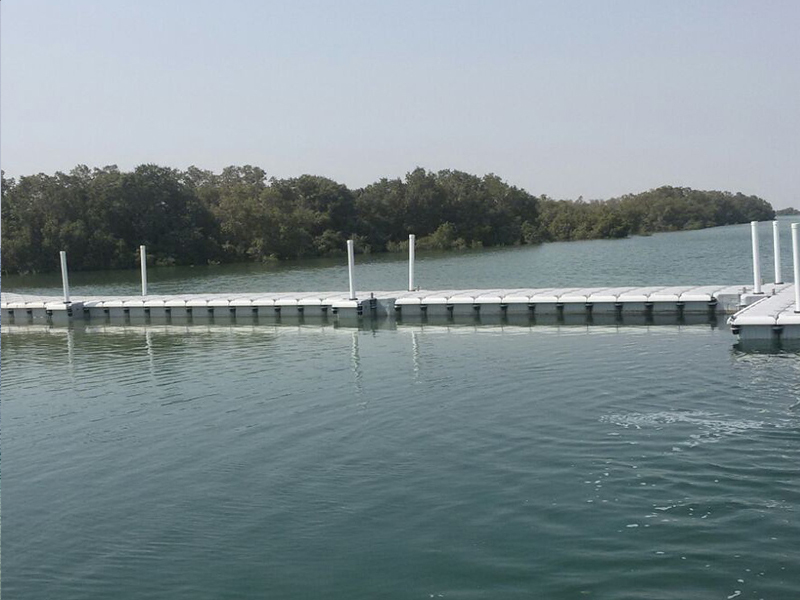 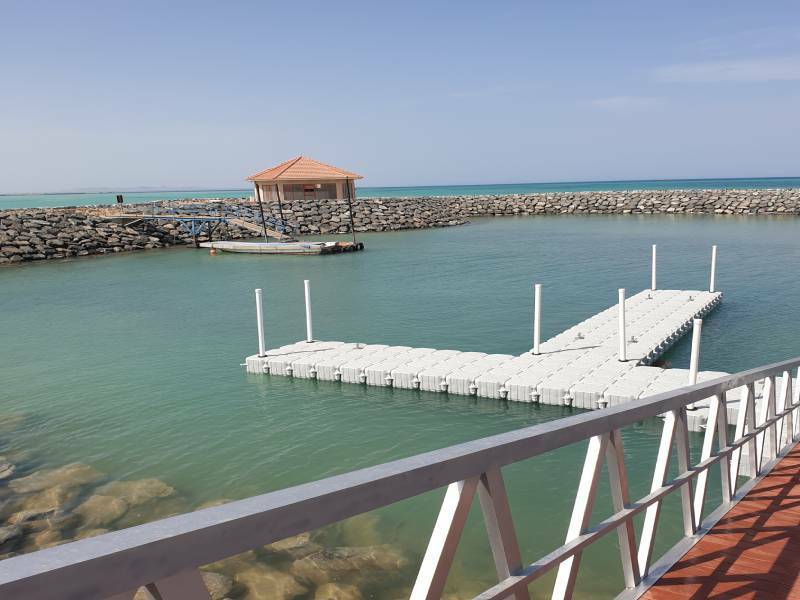 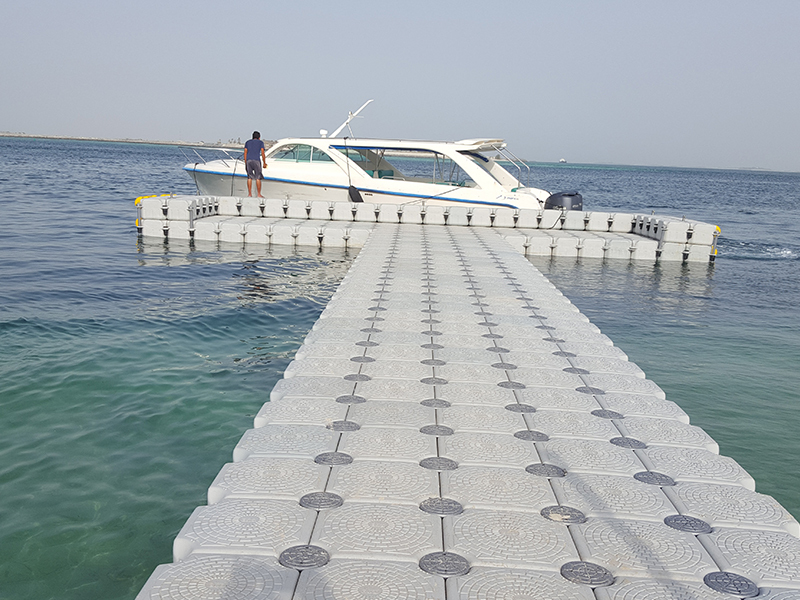 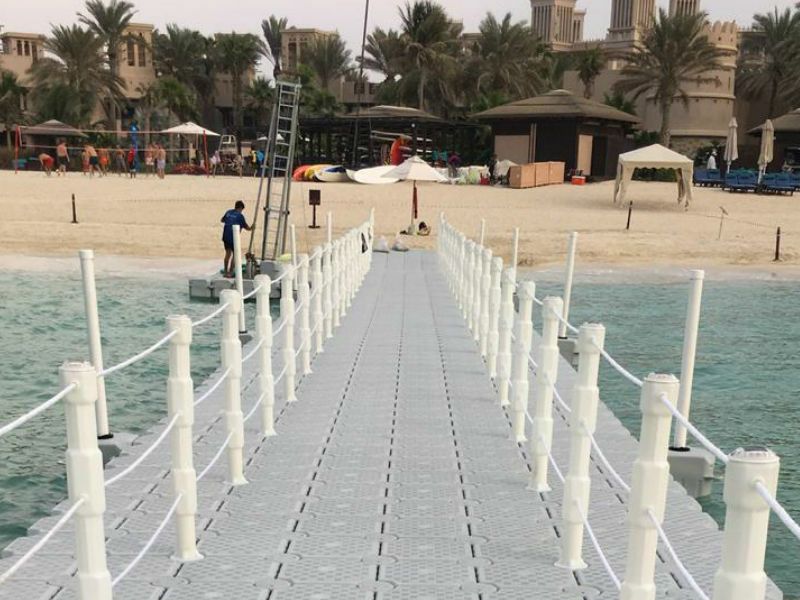 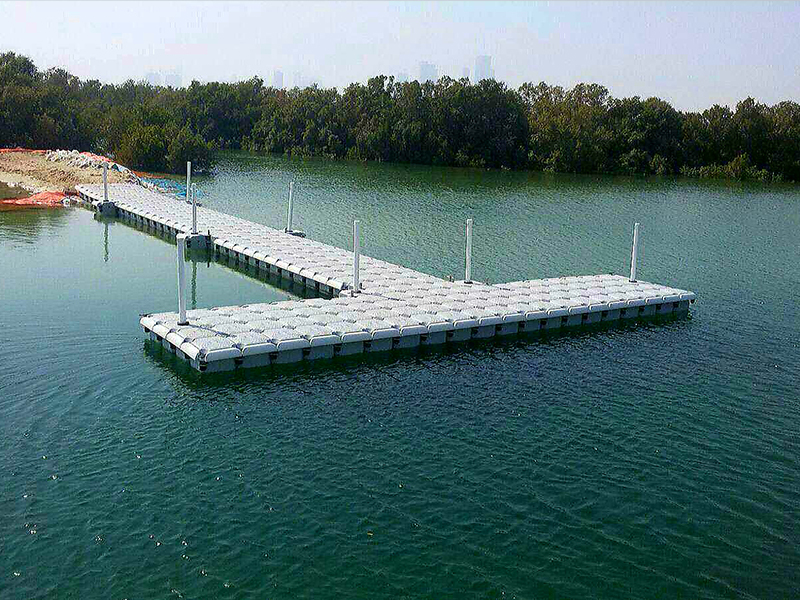 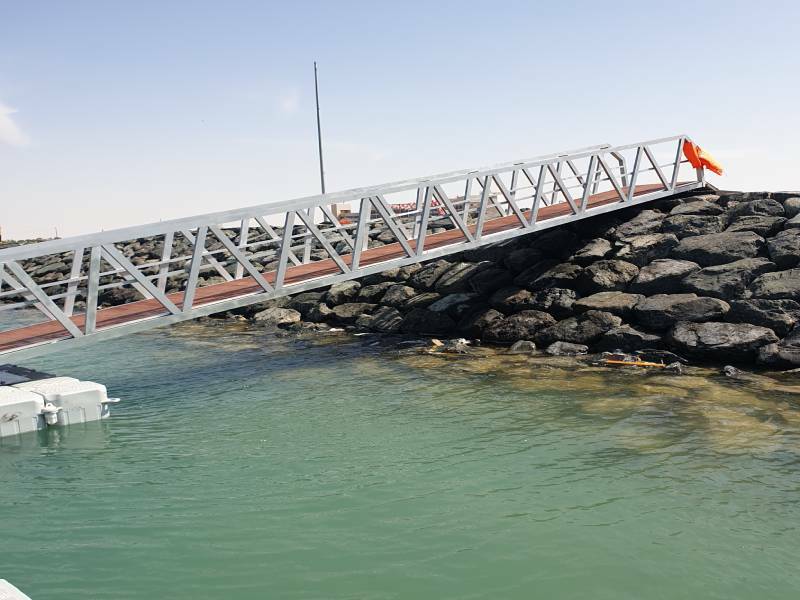 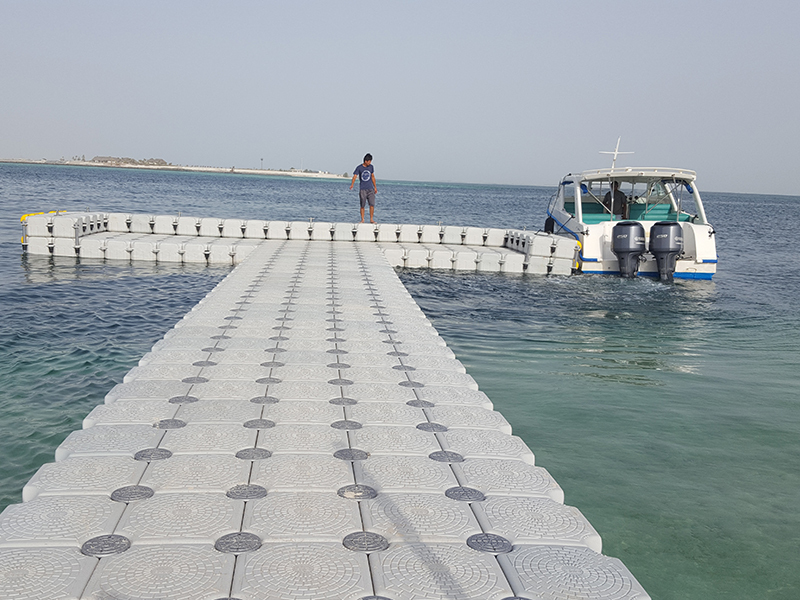 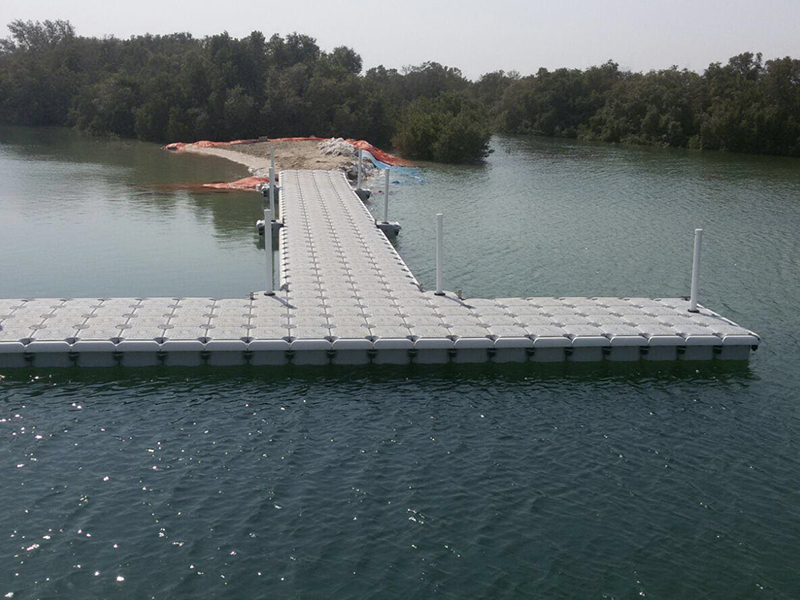 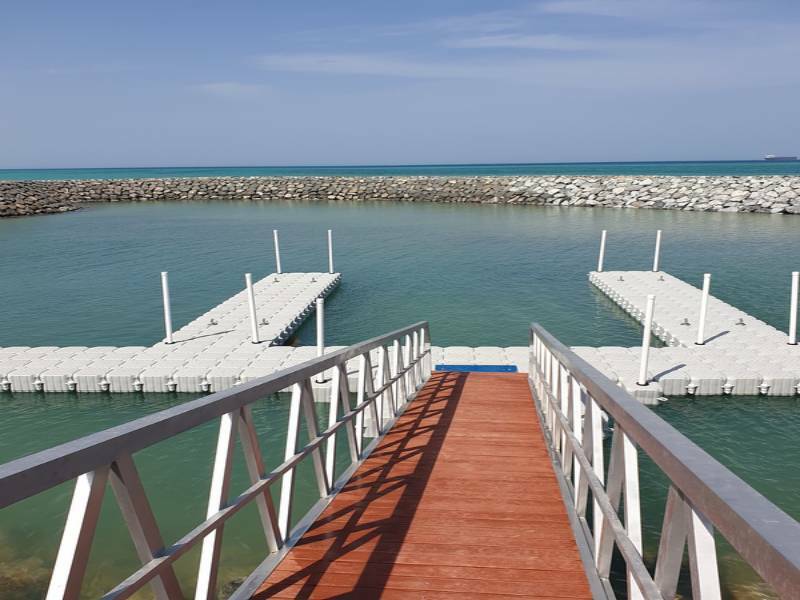 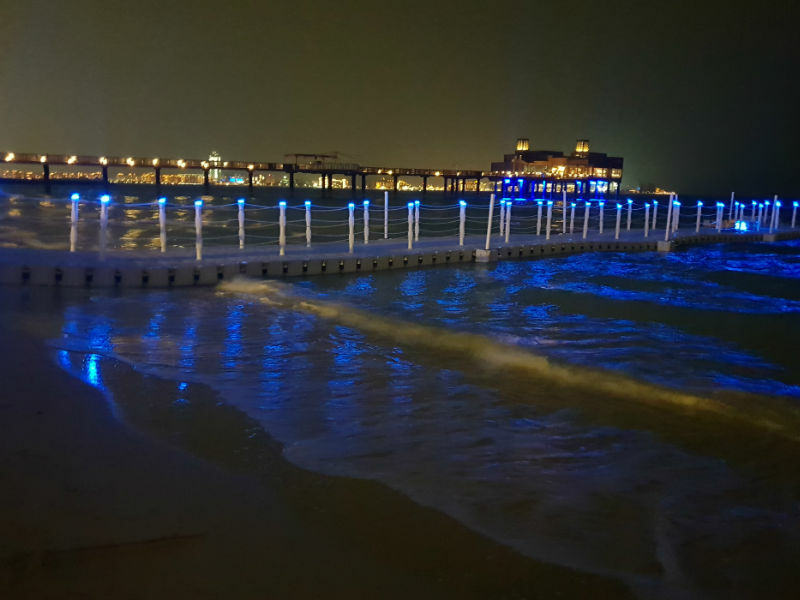 We present to you our Jet Ski Dock, Pontoon Jetty and Floating Walkway as a linking bridge for you to walk on the water to wherever you want! 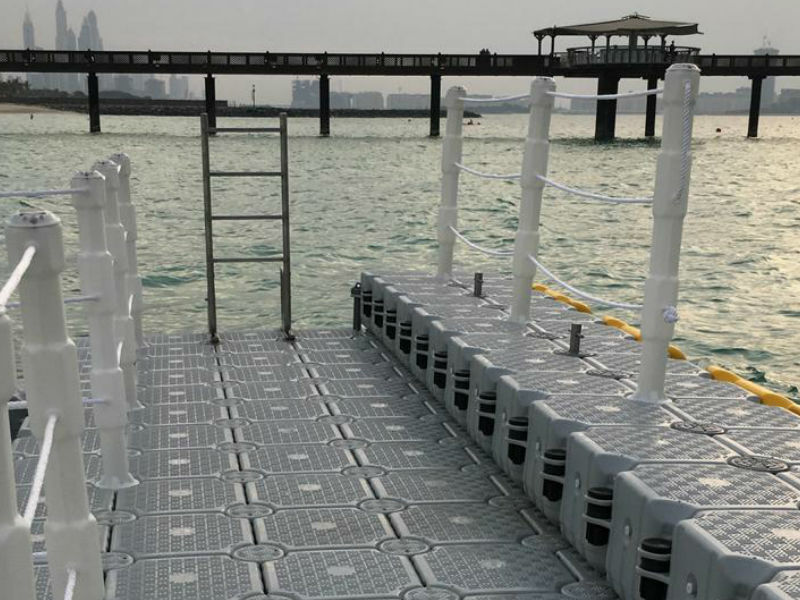 Our Floating Stage cubes have a premium anti-skid design on the surface to ensure safety and stability. 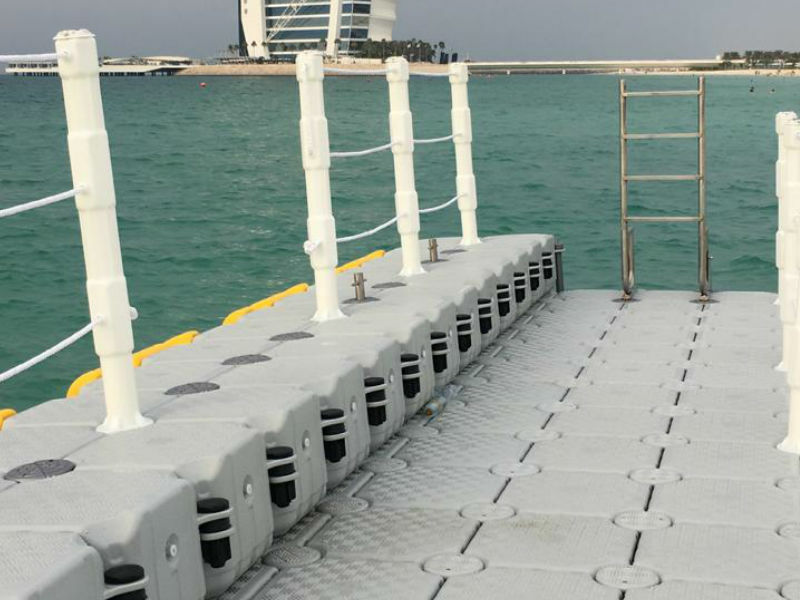 They also have a long lifespan of over 10 years without any preservation or maintenance expenses.